The information in this blog is true, however, an experienced Realtor has the same tools to conduct business in the same fashion as the resources provided in this article. More than three-quarters (75%) of all homes currently on the market will sell below asking in 2019, according to an analysis by Knock, the home resale company. By looking at on-market listings and sales trends across the country, Knock determined that 62 percent of all homes sold below asking price in 2018, according to a national forecast on Wednesday. 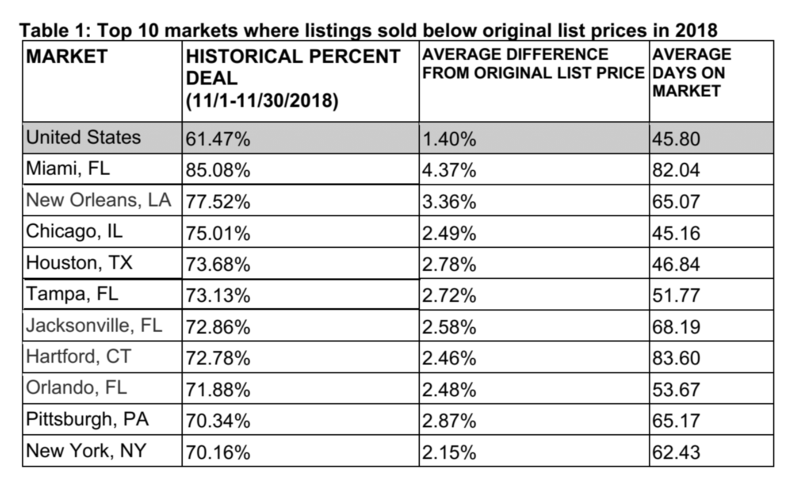 Now, the company projects 77 percent of all listings will sell below asking price in the first quarter of 2019. Take the results with a grain of salt, however, as Knock would seem to benefit from the findings of its own study. The company offers customers the ability to ‘trade-in’ an old home for a new one for a fee. So the idea that homes are selling below their asking price on the open market, and that this will continue, would bolster Knock’s argument to customers to eschew listing homes for sale and instead sell to Knock. Better yet call me “Dan Swing” for a fair solution to make your deal happen! Previous Previous post: Is your home stagnant during the holiday market?